Highly-rated Republic of Ireland striker Adam Idah is attracting interest from Manchester United, according to reports. 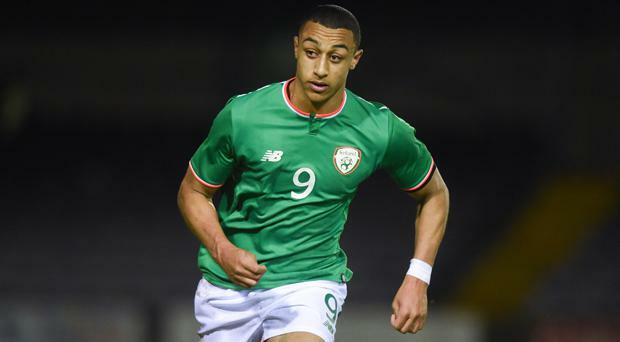 The Norwich City striker caught the eye with a hat-trick in the FA Youth Cup win over Barnsley earlier this season and is fine scoring form for Ireland's under-17 side. Idah has been a key member of Colin O'Brien's outfit who have qualified for the 2018 UEFA European Under-17 Championship in England this summer. He is the top scorer in qualification for the tournament with eight goals, one ahead of Netherlands and Chelsea prospect Daishawn Redan. The Cork-born attacker joined the Canaries from College Corinthians last summer. Italian-based football transfer web site, calciomercato.com, claim Jose Mourinho is on the look out for longer term replacements for Zlatan Ibrahmiovic, who left United in recent days to join MLS club LA Galaxy and Idah is on the the Portuguese manager's shortlist.